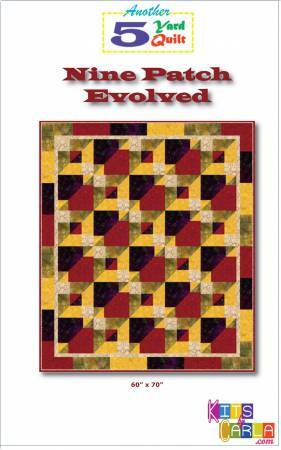 Nine Patch Evolved is an easy pattern that starts with the familiar nine patch block. The large nine patch blocks are cut into eight triangles which are then reassembled to make this "evolved" pattern. Fun and bold design!